Thanks for your interest in getting in touch! Hopefully one of the following options covers the sort of communication you’re interested in. If you would like to collaborate with The Gemsbok in some fashion (including requesting or offering a guest article) or if you would like to send a book, game, or movie review copy to The Gemsbok, you can send a direct message with the following form. If you would like to share one or more comments or questions about an idea, analysis, review, book, game, movie, image, video, or link in one specific article on this site, there is a comment field directly below every article where you can submit that comment and/or question. After submitting, your comment will undergo spam moderation, but should pass that with ease and be up on the site before too long. 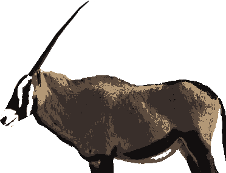 The best way to stay updated about new content would be either to like The Gemsbok Facebook Page, follow @The_Gemsbok on Twitter, or subscribe to the blog by email (which can be done in the box at the bottom of the sidebar, to the right).